You might be checking out the apartments for rent in Redmond because you heard about how fantastic this part of the Pacific Northwest is to live. The beautiful backdrops of Washington State and the chill atmosphere make a great case for living here all on their own. There’s more excitement to be had around these parts, though, especially if you’re into learning a thing or two at a local museum. 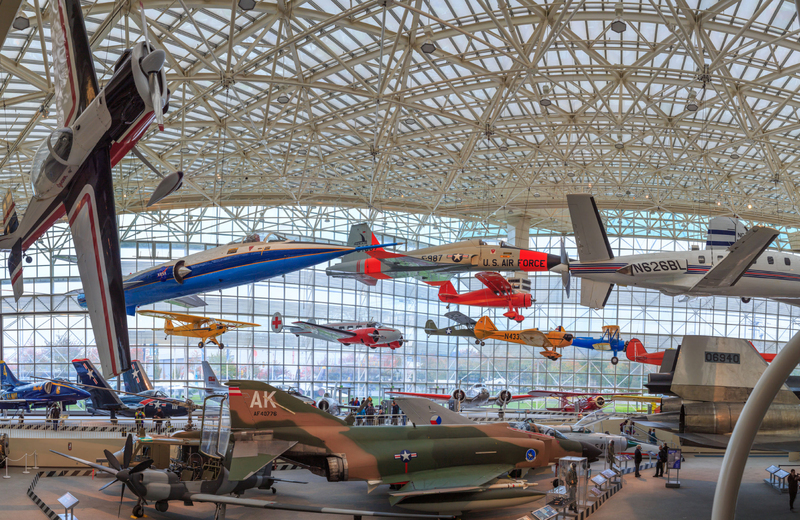 We’re referring to, in this instance, the nearby Museum of Flight in Seattle, the “largest independent, non-profit air and space museum in the world.” What wonders will you find when you venture within? What fun does it hold in store for you and your family? Today, we’ll be looking at exactly that. Read on, as we explore the many facets of this amazing facility and how you can plan a great trip to enjoy everything it has to offer. That’s true commitment. A trip here will pique your interest for the topic, even if it isn’t already one of your favorites. The Museum of Flight can trace its roots back to the 1960s, when a “small group of aviation enthusiasts realized that important and historic artifacts representing the evolution of flight were being lost or destroyed at an incredible rate.” The response? Preserve these artifacts and educated the public about the importance of aviation. They started out in the 10,000 square-foot space known as the Seattle Center, the location of the 1962 World’s Fair, and from there, and later moved to a new location (Boeing Red Barn) in 1975. Since then, they’ve added new elements to the museum, creating what you now see today: a collection of the history of flight and an inspirational testament for the entertainment and education of generations to come. A unique facet of the Museum of Flight’s Blackbird is that it was constructed in 1963, and is the “sole surviving example of its type.” Though on loan from the National Museum of the United States Air Force, there’s still some time to head down and check out this impressive aircraft in Seattle. And these are only two of the impressive exhibits the museum has to offer. You can also take tours of the Museum of Flight’s Restoration Center and Reserve Collection at Paine Field. This is a 23,000 square-foot site where “thousands of volunteer hours are devoted to renovating and restoring aircraft to exhibition quality.” For a fee, you can see how old aircraft are made viewable once more, and learn more about aviation than you ever thought possible. If you like what the museum is doing and want to make a contribution, know that donors and volunteers are most welcome. The museum is all about helping out the community, and when the community gives back, it makes for a magical moment. You can learn more on the Museum of Flight website, and reach out through their contact form if you require additional information. Now, we aren’t saying you’ll learn as much about the skies or flying through them while you’re at great apartments like Hyde Square, but you will pick up a little something about living in one of the most stunning urban communities Washington has to offer. It’s sleek, it’s stylish, it’s contemporary, and, most importantly, it’s welcoming in a way that you wouldn’t expect from an apartment complex in the city. Hyde Square, as we like to say, “puts you in the middle of what really matters in the Seattle area.” It’s all about the community and that feeling of belonging, so be sure to check out everything this amazing Bellevue compound has to offer, and make it your first choice for living your best life among the beauties of the Pacific Northwest.